Received wisdom says that starting up a new restaurant carries more risk than any other type of business venture: Apparently some 60% of eateries close within five years. But I suspect that received wisdom is wrong. I reckon it’s even more difficult to launch a low-volume motorcycle company. 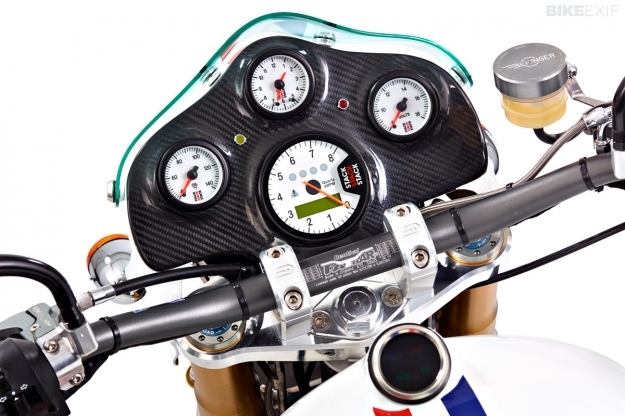 The financial travails of the smaller Italian marques are well known, and in more recent years, aspersions have been cast on the ability of Norton to (literally) deliver the goods. 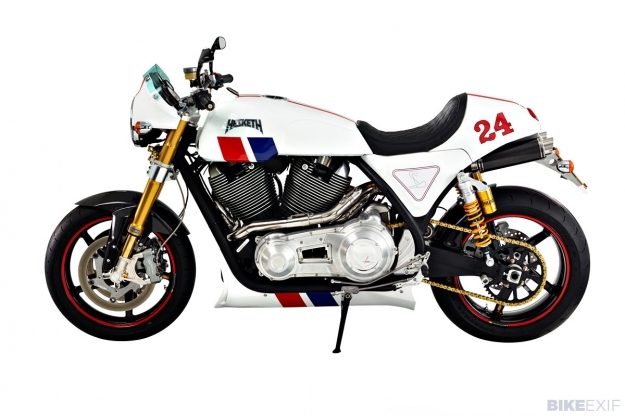 That makes Paul Sleeman, the owner and chief engineer of the reborn Hesketh Motorcycles brand, a brave man. But he’s created a very interesting bike with a mix of tried-and-trusted hardware, and may just avoid the pitfalls of those who have gone before him. 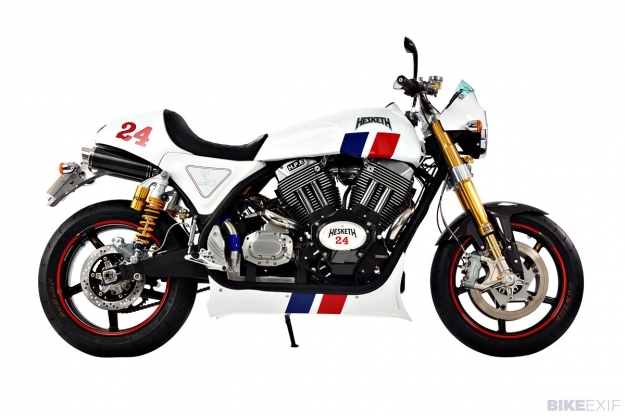 The new ‘24’ harks back to the days of James Hunt’s adventures in the Hesketh F1 car, and has little connection to the Hesketh motorcycles of the 1980s. 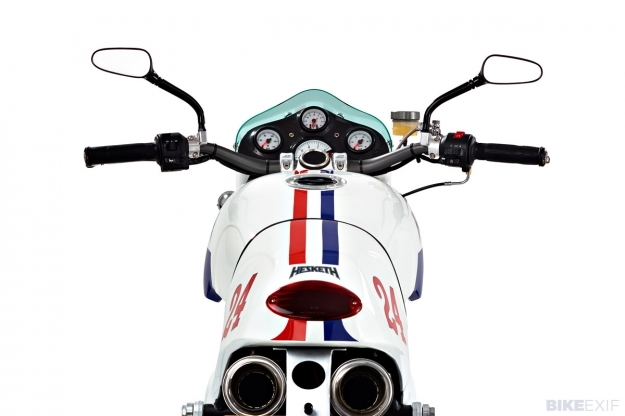 The spec is good: the heart of the machine is a 1950cc air-cooled S&S X-wedge engine hooked up to a Baker transmission. The engine is popular with custom builders in the US, and somewhat bizarrely, is also employed by the British car company Morgan to power its retro-styled three-wheelers. No weight figures are given, but with 125 hp and 144 pound-feet of low-down torque on tap, performance will be brisk. As an added bonus, the motor has been tuned by Harris Performance, who can modify its characteristics to suit an owner’s preferences. The suspension comes from Öhlins, with Beringer supplying the brake system. The seat is covered with Italian nappa leather, and is the work of McLaren upholsterer d:class automotive. The 24 is a limited edition, and you can probably guess how many will be made. 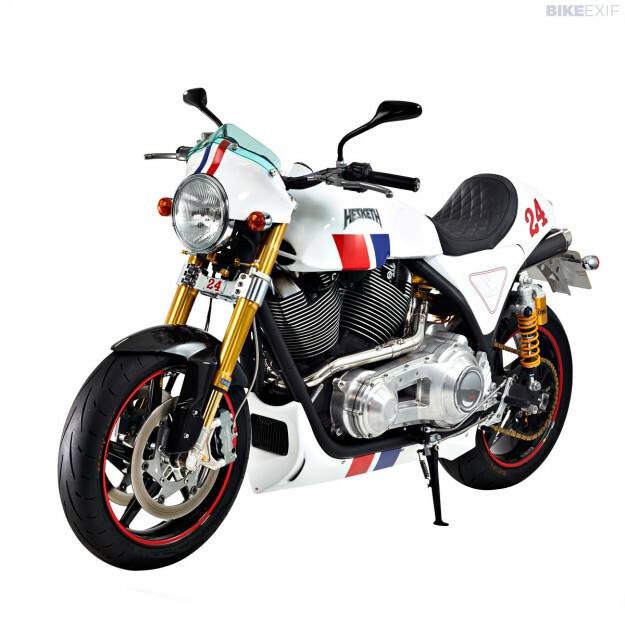 In the UK the price is £35,000 (US$60,000) and three bikes have already been sold. There are orders for eight more and the machine is approved for registration in the USA. Tempted? 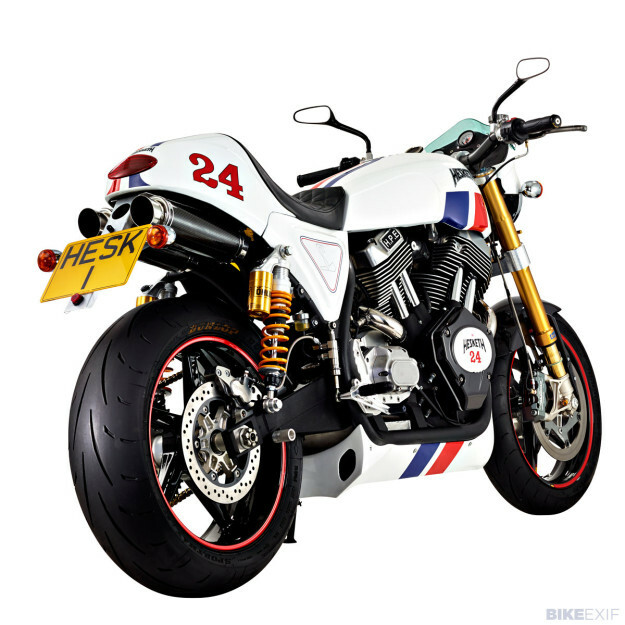 Head over to the Hesketh Motorcycles website for more details. With thanks to Tom Stewart.